It's Binuyugan Festival in Maitum! Aside from Bangsi Festival which is held every month of January, another highly anticipated annual event in the Municipality of Maitum in Sarangani Province is the Binuyugan Festival. It is celebrated every month of May of and is in lined with the foundation anniversary of Maitum. This year, Binuyugan Festival is scheduled from May 4-8 with the theme "Maitum: A Community of Tri-People Enjoying Diverse Culture". 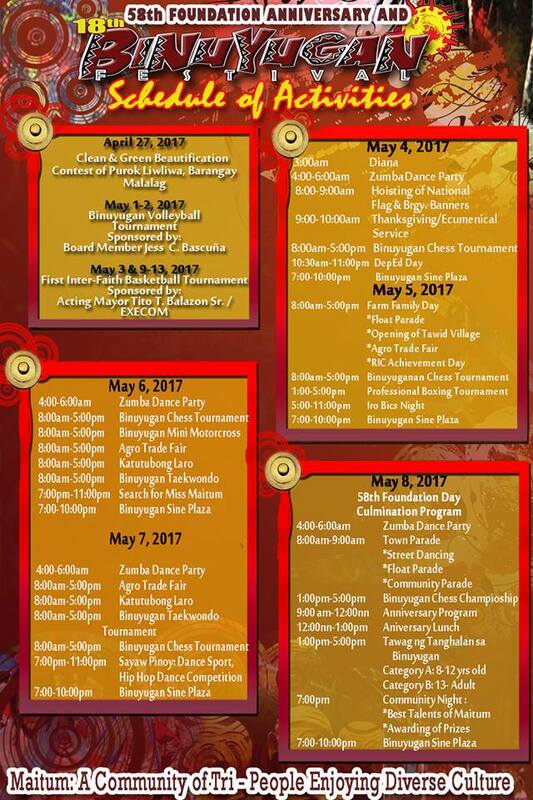 Check out the Binuyugan Festival 2017 Schedule of Activities below. SOCCSKSARGEN, Philippines #SOXph by Nanardx: It's Binuyugan Festival in Maitum!